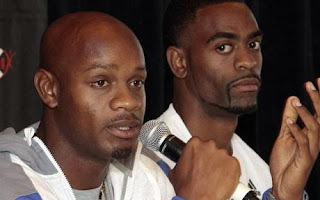 World silver and bronze medallists Tyson Gay and Asafa Powell, as well as Allyson Felix and Veronica Campbell-Brown will compete in next week’s Daegu Pre-Championship Athletics Meeting in the southern South Korean, organisers said Wednesday. Gay and Powell has agreed to race at the meet after the organisers contacted them about the withdrawal of Usain Bolt who cancelled his trip because of fatigue. "We received definite answers from Gay and Powell that they will take part in the event," Moon Dong-hoo, vice president of the organising committee for the 2011 championships, said. "Bolt, Gay and Powell feel some pressure to run together. "After Bolt’s withdrawal, we contacted with Gay and Powell, and they agreed to participate." The two will continue their battle this season when they face each other in the 100 metres and will be joined by Trinidad and Tobago’s Marc Burns. Powell, the former world record holder before being replaced by fellow countryman Bolt, will look to close the gap this season against Gay who holds a superior win-loss record against the Jamaican who has only defeated him once this term. The last time they met Gay came from behind to edged Powell by two-hundredths of a second with a 9.88 seconds winning run in Thessaloniki, Greece last Saturday. The pair were in action in Poland on Tuesday but raced in different events – Powell winning the 100m in 9.82 and Gay the 200m in 20.21. 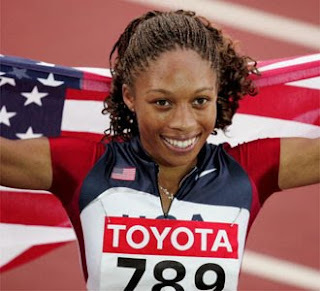 Meanwhile, American three-time world champion Felix and Jamaica’s two-time Olympic champion Campbell-Brown will meet each other in the women’s 200m dash. The last time the two clashed was at the world championships in Berlin with Felix running away comfortable with the crown ahead of the Jamaican.